Qawwali is the South Asian Muslim equivalent of African-American Gospel music. This particular song celebrates the thirteenth-century Sindhi mystic, Sayyid `Uthman Marwandi, known as Lal Shahbaz Qalandar (1177 – 1274 AD), a Sufi master of the Suhrawardi order. His epithet means “Red Royal Falcon, the wandering mystic.” He was one of four great masters at Multan whose work formed the matrix of spirituality in what is now Pakistan. 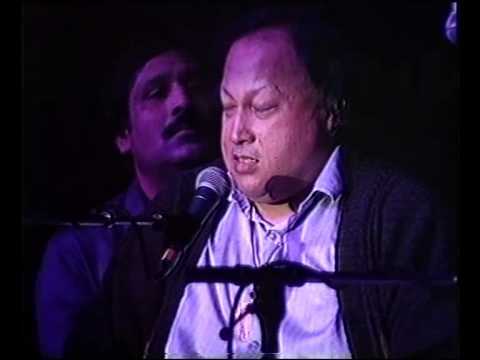 The most famous rendering of the qawwali in his honor is that of Nusrat Fateh Ali Khan (d. 1997). Upon My breath and in my intoxication is the great Qalander. My worship and upon my breath is the name of Ali.